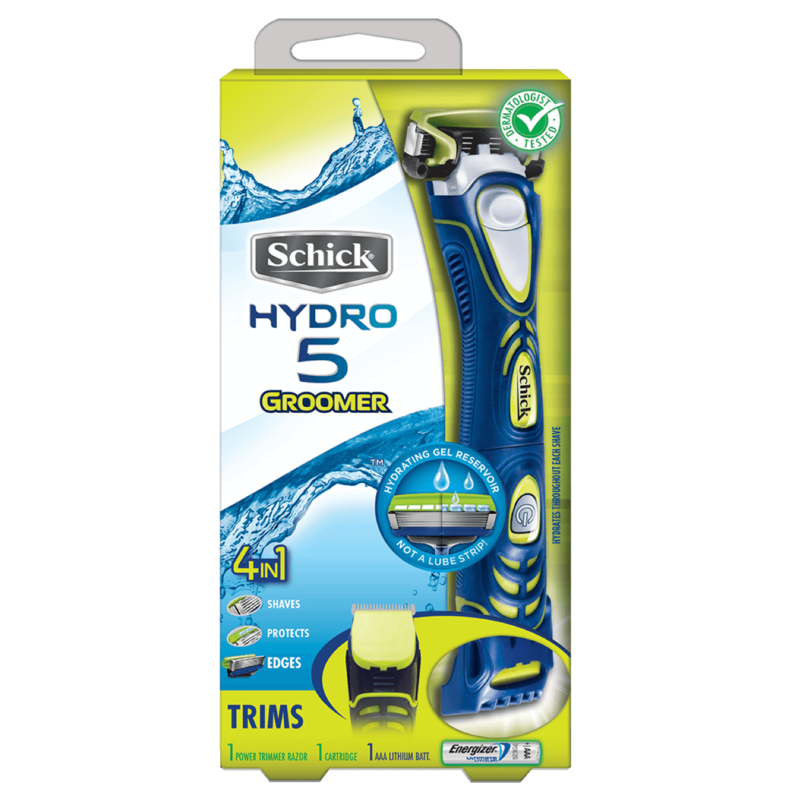 The Schick Hydro 5 Groomer is the only 4-in-1 high performance styling tool that shaves, hydrates*, trims, and edges. 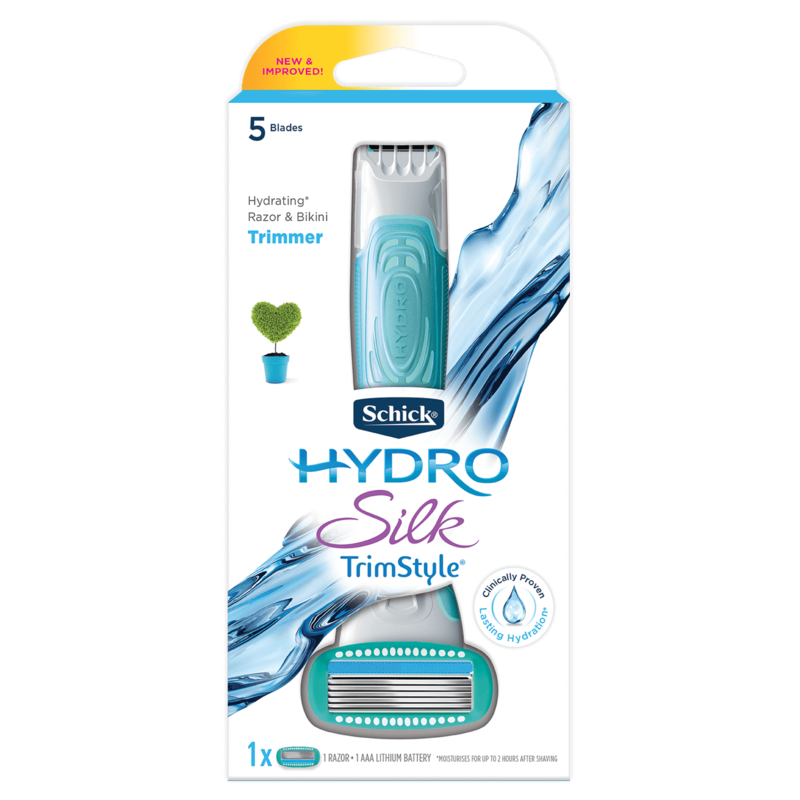 With a razor on one end and an adjustable power trimmer on the other, this convenient tool eliminates the need for multiple attachments – it’s all right there. 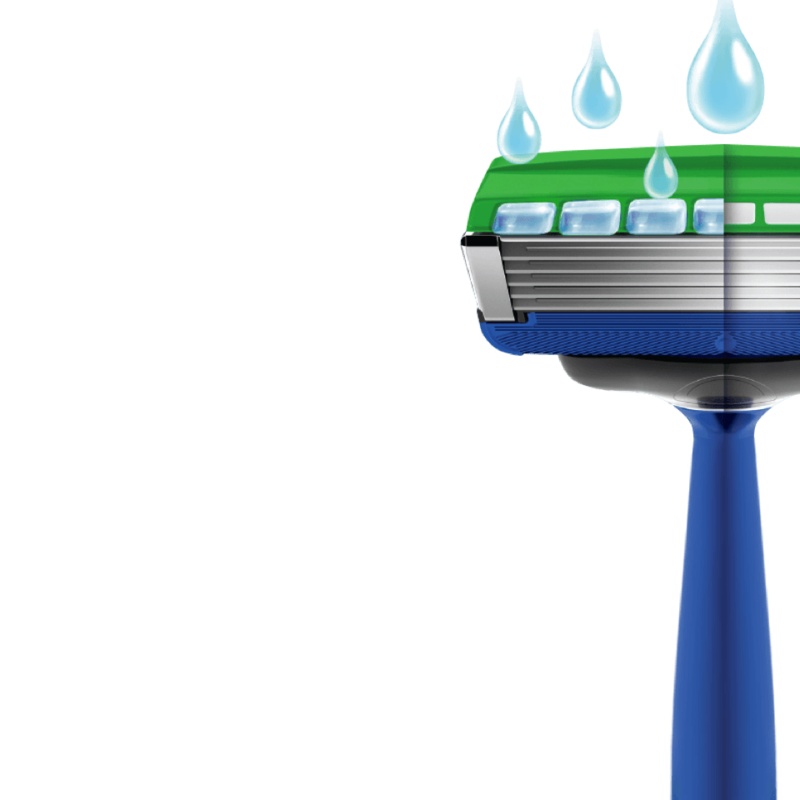 (*throughout each shave). 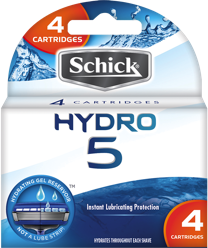 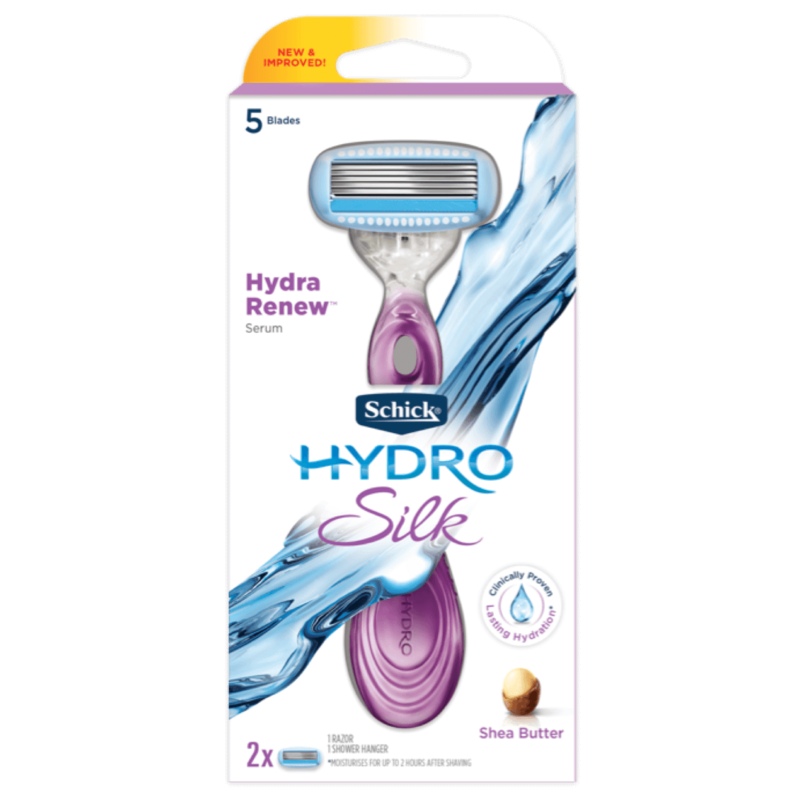 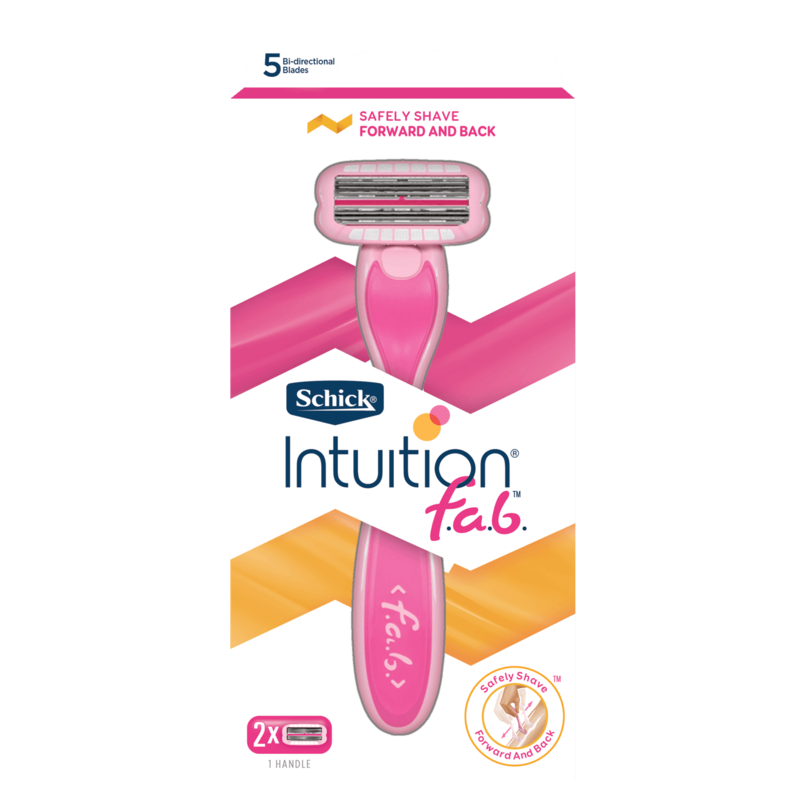 Pair with our Schick Hydro 5 Refill cartridges or refills from our wider Hydro range. 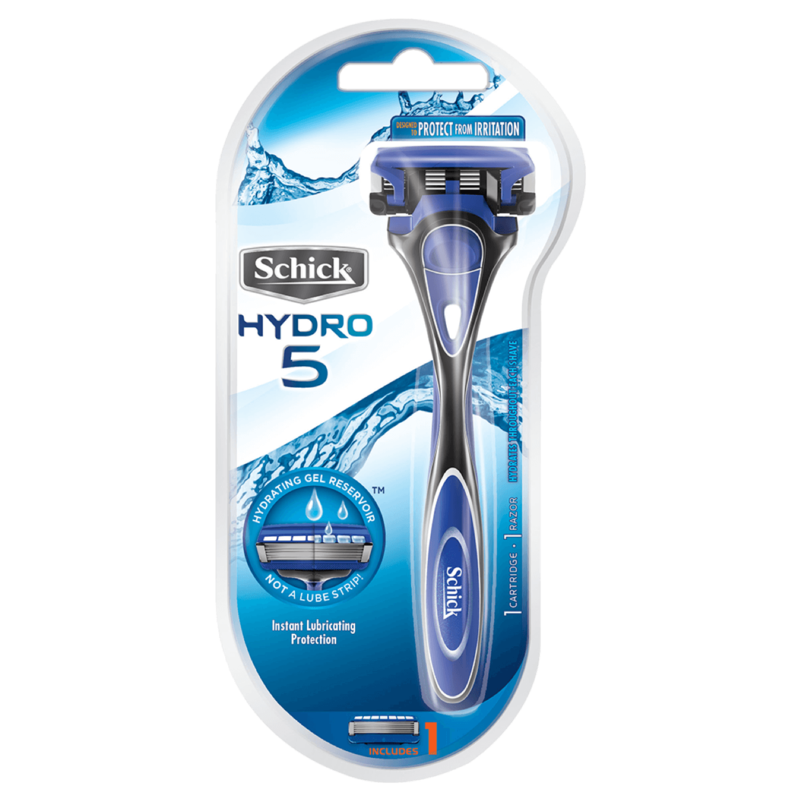 With a simple flip of the thumb, the Gel Reservoir flips back so all five blades help to trim, versus the single edging blades of other razors. 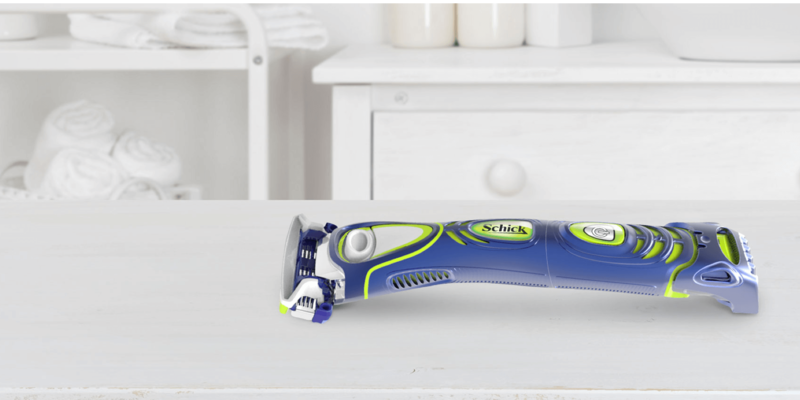 Adjustable power trimmer and razor in one! 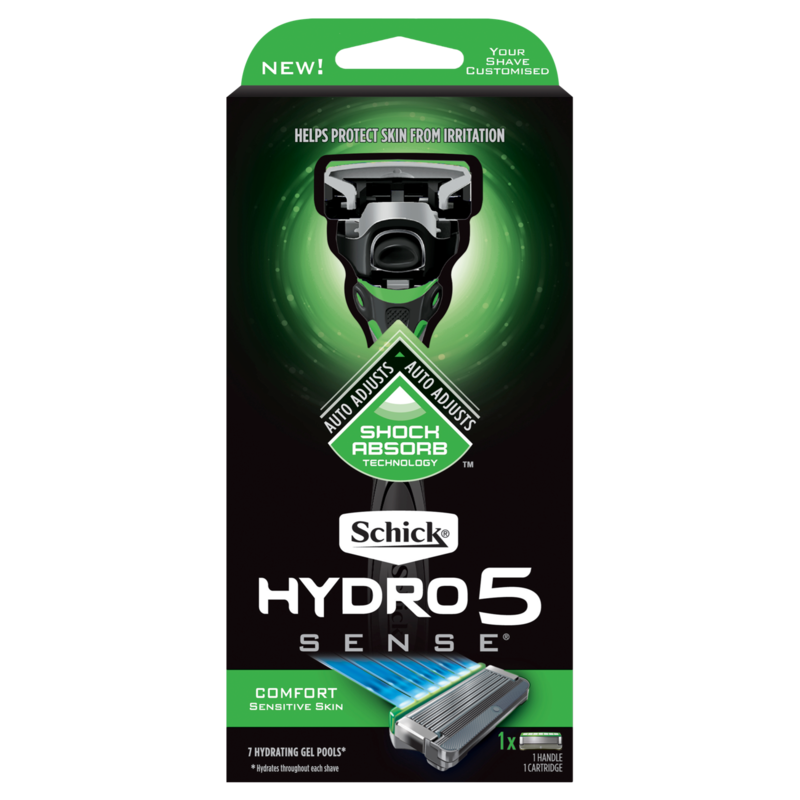 With a razor on one end, and an adjustable power trimmer on the other, this convenient tool eliminates the need for multiple attachments for grooming – it’s all right there. 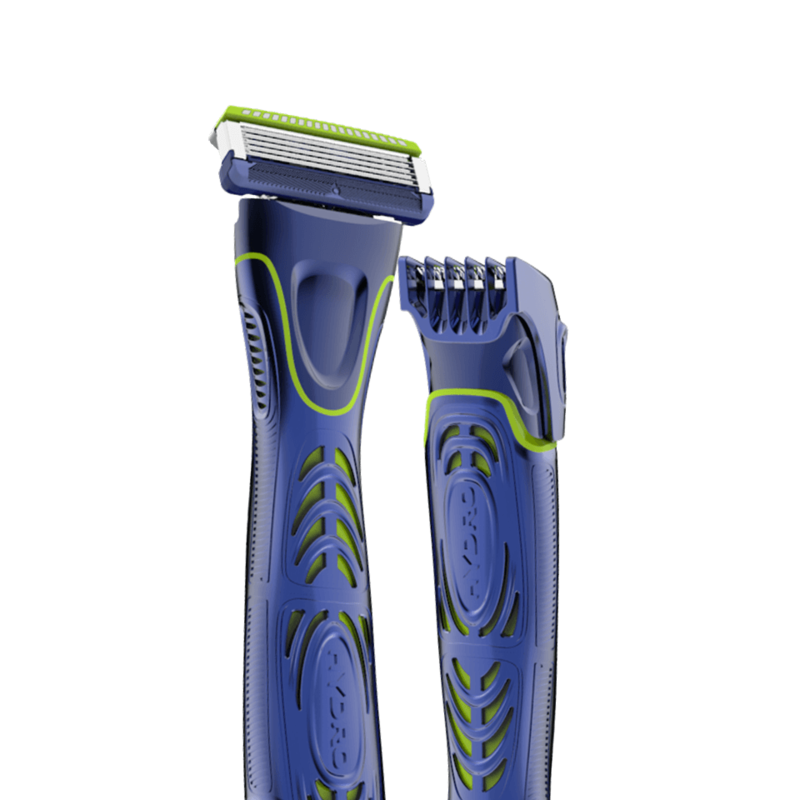 5 EASYGLIDE BLADES® with patented Skin Guards reduce irritation. 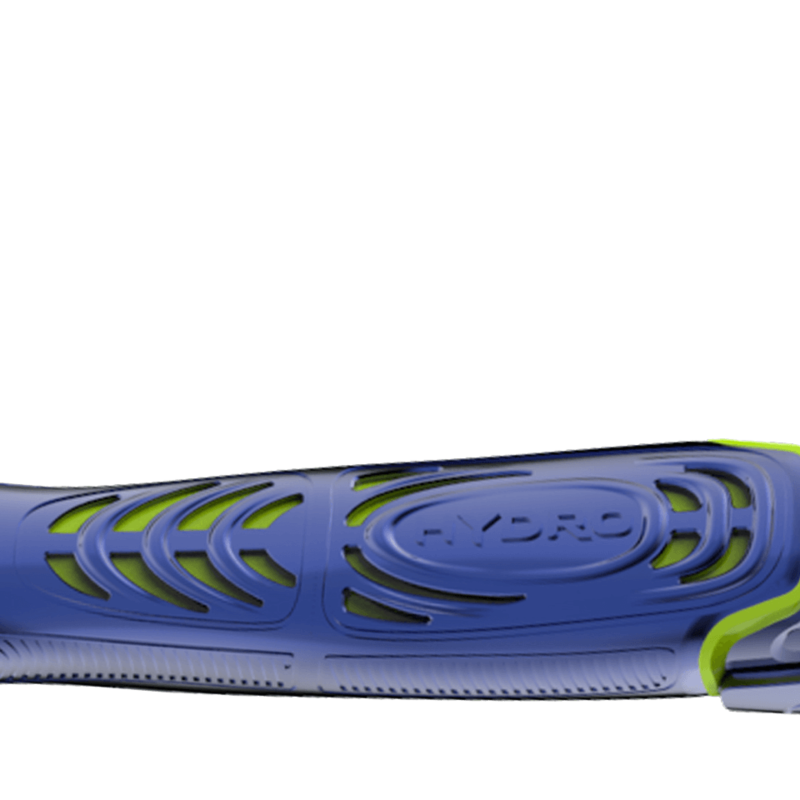 Skin Guards is a world first technology, designed for Hydro. 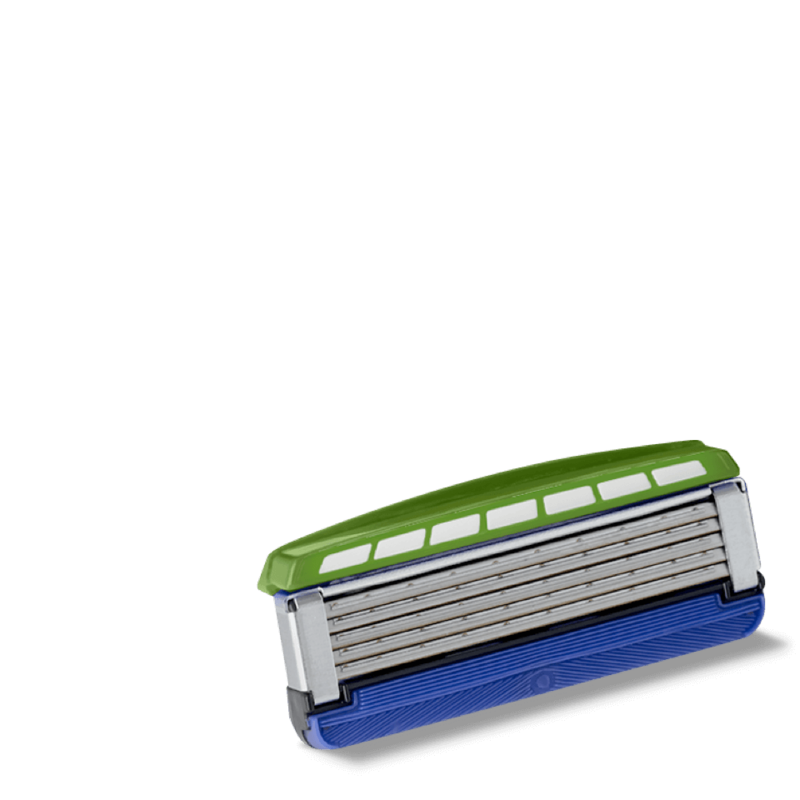 How do I clean my razor blades? 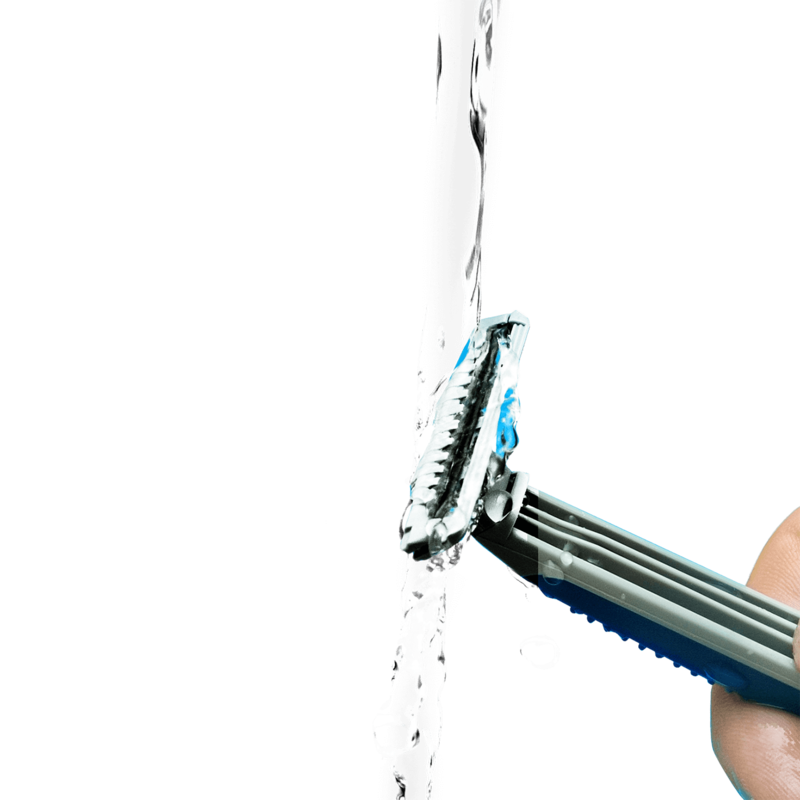 Unique Shock Absorb technology auto-adjusts based on how you shave. 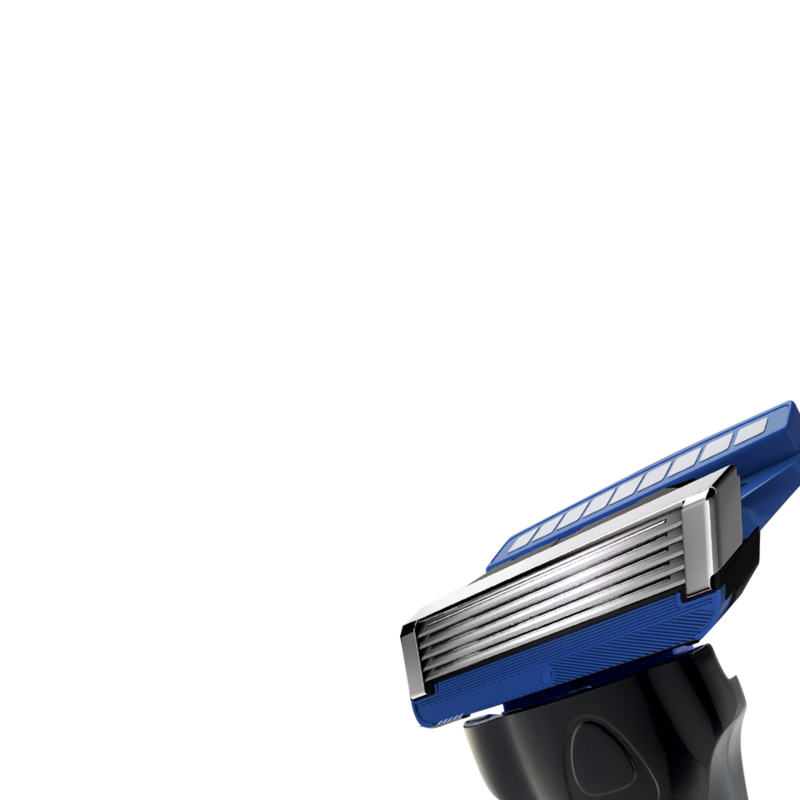 Have you considered for women? 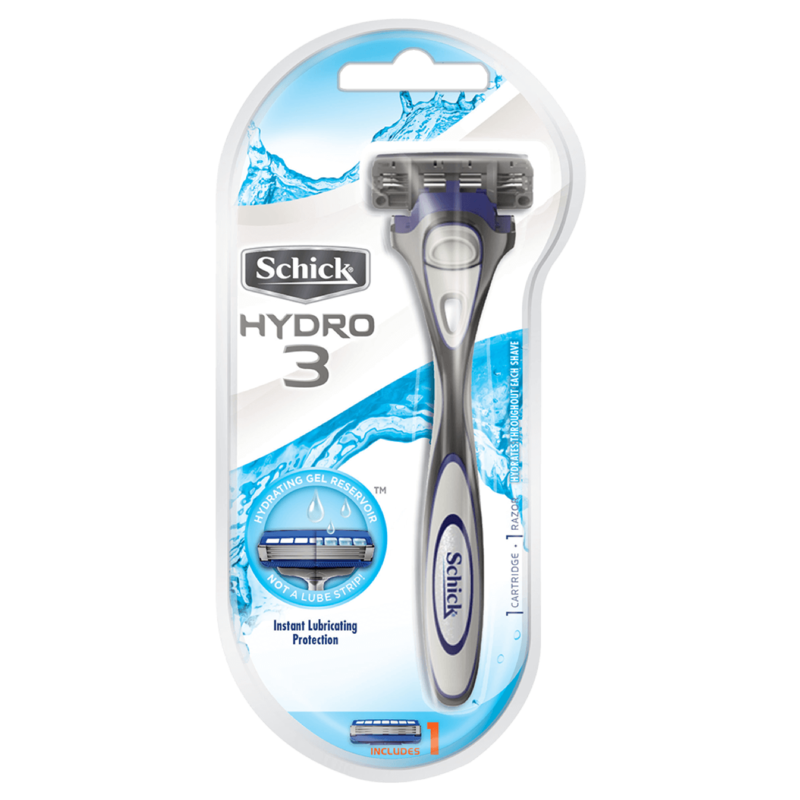 Go beyond a close shave with clinically proven, lasting hydration*!